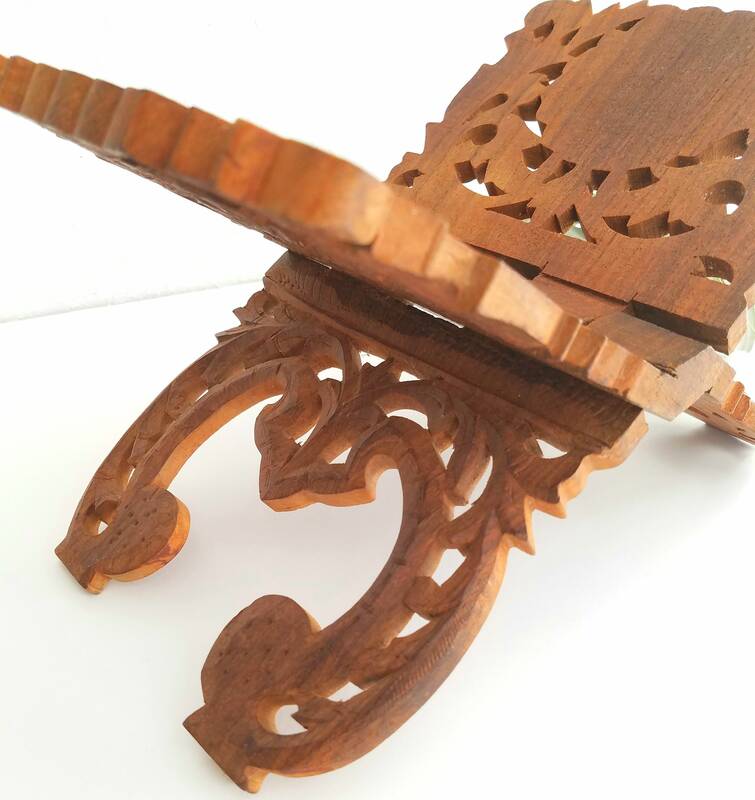 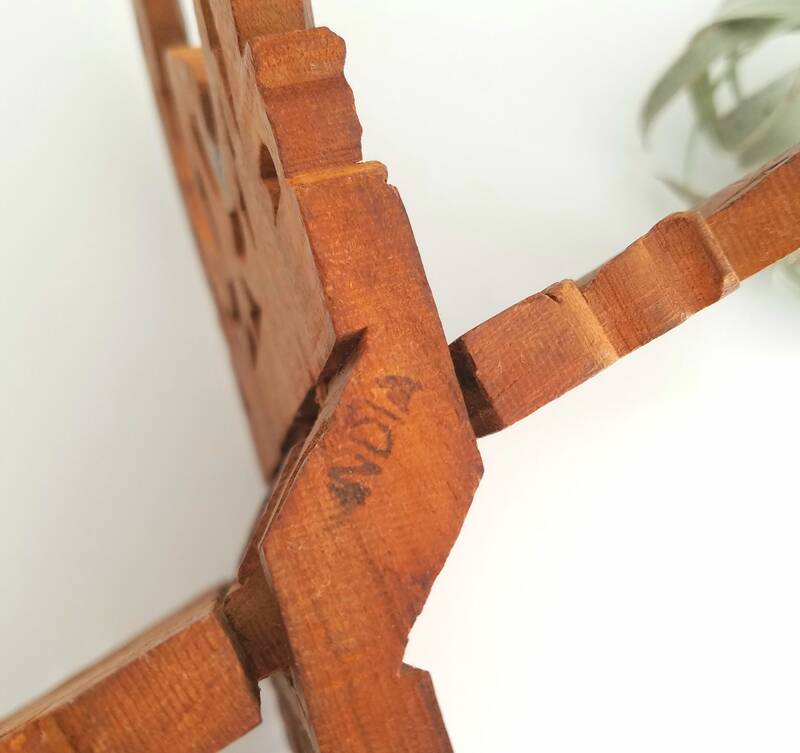 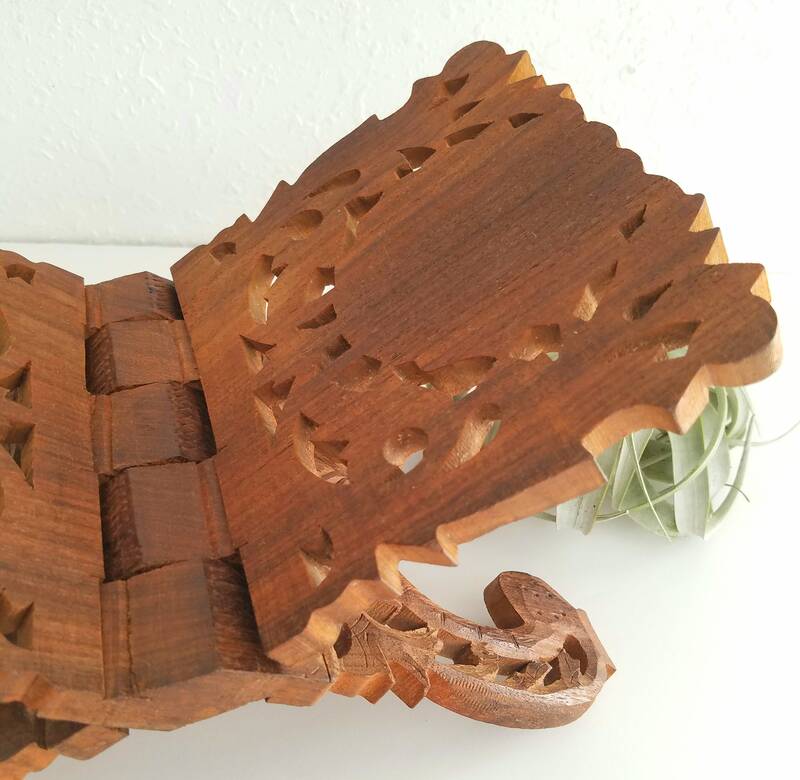 Beautiful handcarved wood Folding Book Holder. 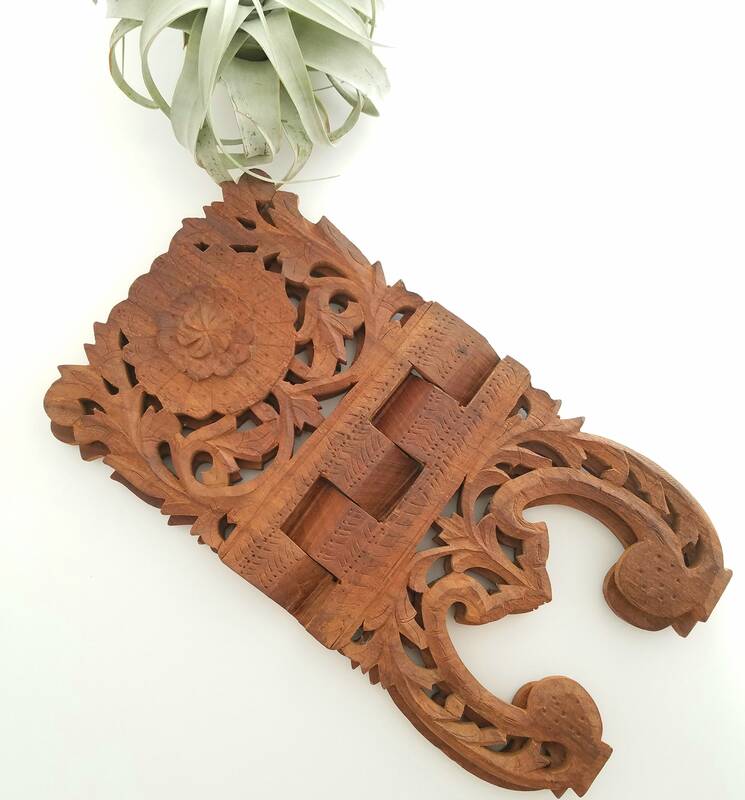 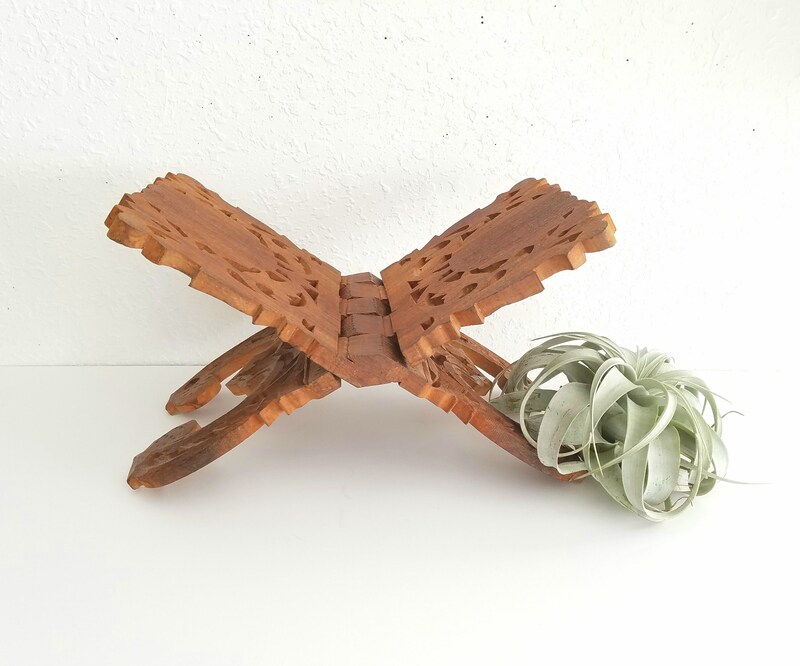 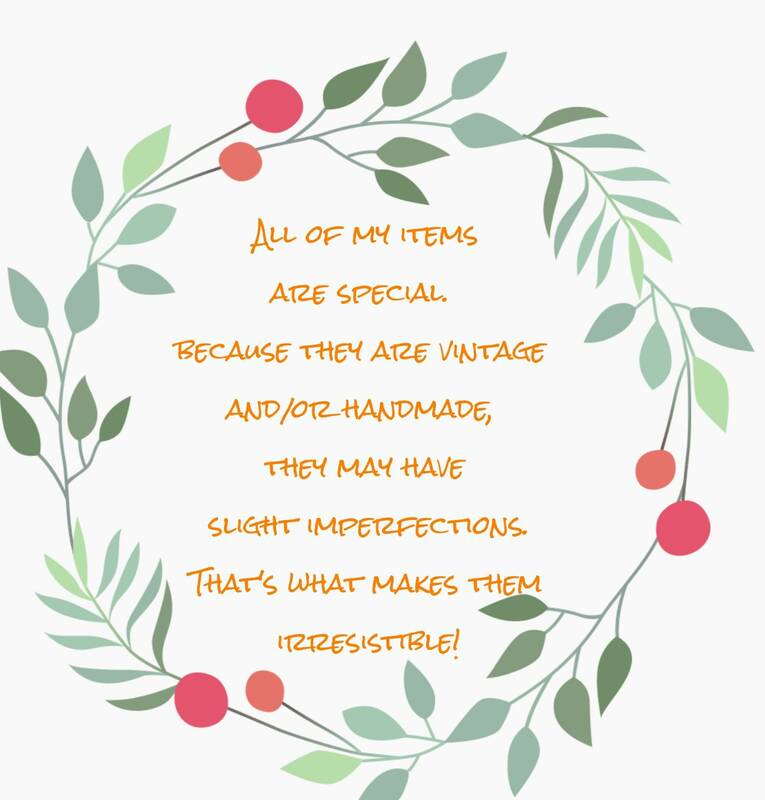 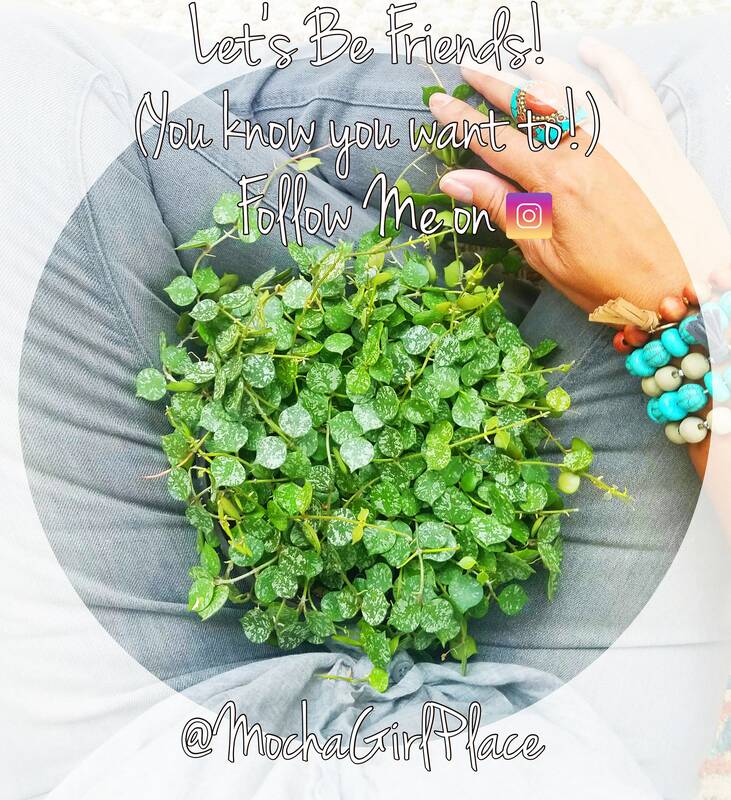 This could also be used in the bathroom as a towel holder or a place for your favorite Airplant. 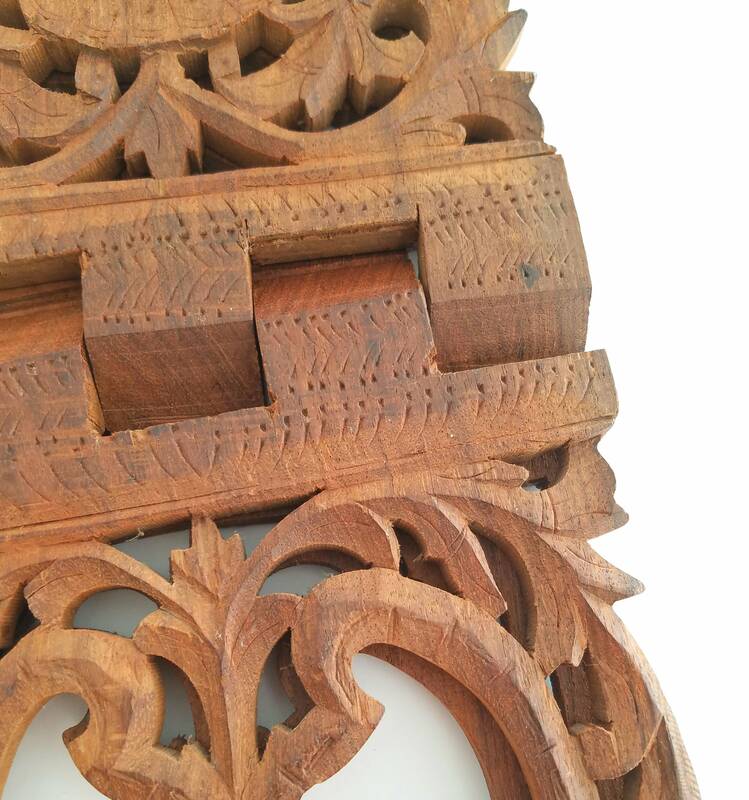 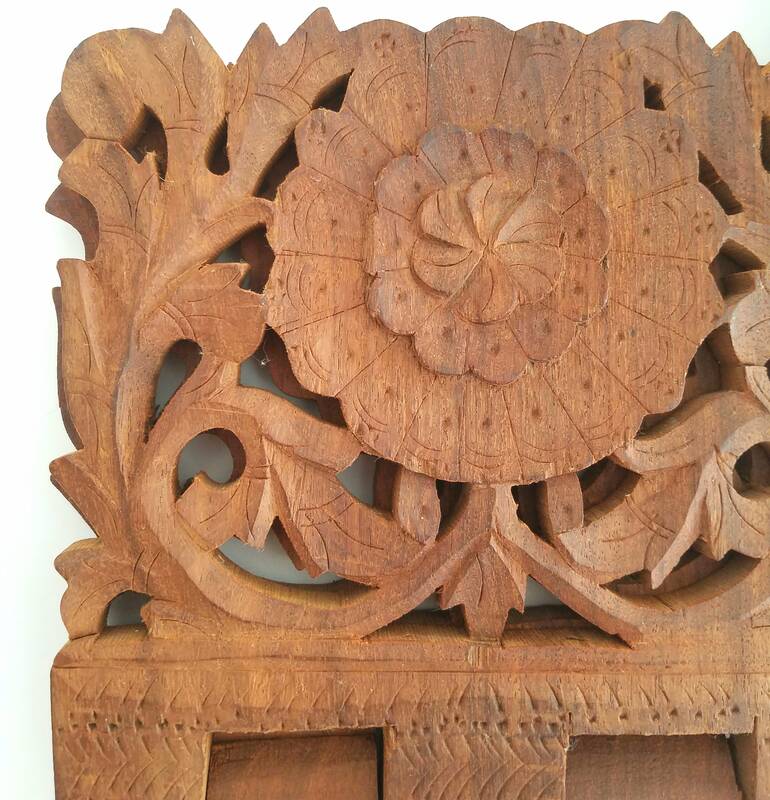 Beautiful carved wood on the sides and is in excellent condition.